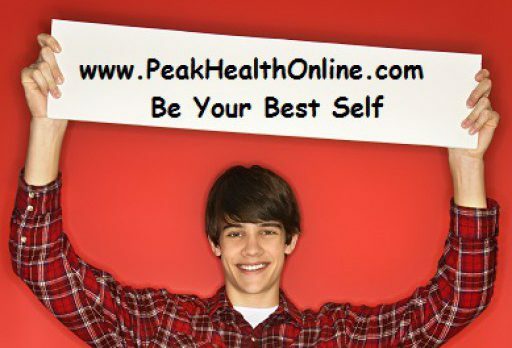 The Peak Health Online Blog – Be Your Best Self… Naturally! Be Your Best Self… Naturally! Rolling Stones fans were concerned by the recent news that Mick Jagger needs a new heart valve. Good news is that, these days, most patients in his situation can get what they need — and often without intensive surgery. While Jagger has not discussed his condition, Rolling Stone magazine confirmed reports that Jagger, 75, needs heart valve surgery. 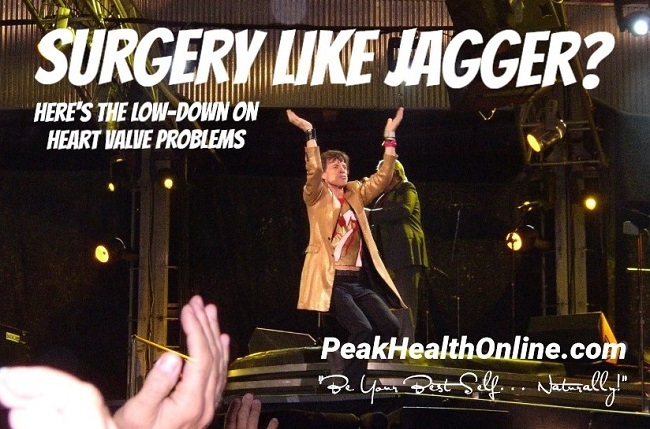 Jagger is expected to make a complete recovery, the band said in a statement. Jagger has plenty of company. In America alone, more than 5 million people live with heart valve disease. In 2013, the most recent year for which numbers are available, over than 100,000 people had heart valve surgery, according to the US National Center for Health Statistics. 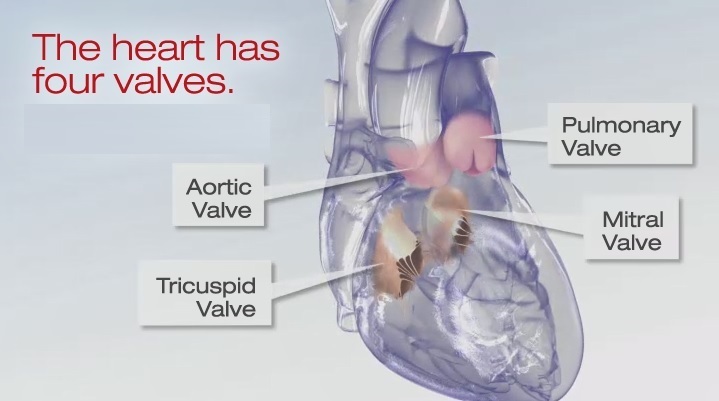 Dr. Catherine Otto, a professor of medicine at the University of Washington in Seattle, offered this primer on the heart’s four valves – and how they can malfunction. If one of these valve narrows, blood can’t go forward without the heart working extremely hard to push it; and if a valve leaks, the heart has to pump extra blood to make up for it. “It’s a very delicate structure that with time can become a little bit thicker and get a little bit of scar tissue,” said Dr. Robert Bonow, professor of cardiology at Northwestern University Feinberg School of Medicine in Chicago and co-author of those AHA guidelines. A small percentage of people are born with malformed valves; many live for decades without problems. But even an anatomically normal valve is opening and closing with every heartbeat. Bonow did the maths: For someone with an average heart rate, the valve opens about 3 billion times over 80 years. “It’s just one of those things that if you live long enough, these valves will begin to wear out at some point,” said Bonow, a past AHA president. Risk factors include the same ones that lead to heart attacks: Namely, high cholesterol, smoking, high blood pressure and diabetes, Bonow said. Otto said the most common symptoms she sees include reduced ability to exercise. Patients get out of breath, fatigued or just don’t feel like doing it. “If they get to the point of actually having chest pain with exertion or shortness of breath or dizziness or passing out – those are really more severe symptoms of the disease,” she said. Worn-out valves can be replaced with new ones made from metal or from animal tissue. And treatment has undergone a “transformative” change in recent years, Bonow said, with the growth of a procedure called transcatheter aortic valve replacement, or TAVR. The aortic valve is on the left side of the heart and releases blood to the body’s main artery, the aorta. Until recently, complicated open-heart surgery was standard. But with TAVR, a replacement valve can be inserted without surgery by puncturing a leg artery, inserting a new valve, threading it up to the heart “and just popping it in place,” Otto said. “It’s a very short procedure – it takes an hour or two at the most,” she said. The patient is usually in hospital overnight or maybe a couple of days, followed by a week or two of recovery at home. That compares with six weeks to three months of recovery for the hitherto traditional surgical procedure. Also, Otto noted, if the problem is related to the mitral valve – that’s less likely in someone Jagger’s age – a transcatheter approach is possible, but a patient is more likely to need open-heart surgery. To view more articles from our health library, simply enter your area of interest in the “Search” box, at the top right of this page. Do “Depression Genes” Really Exist? Panic Attacks: What Are They Exactly? Time-Restricted Eating: Good or Fad? 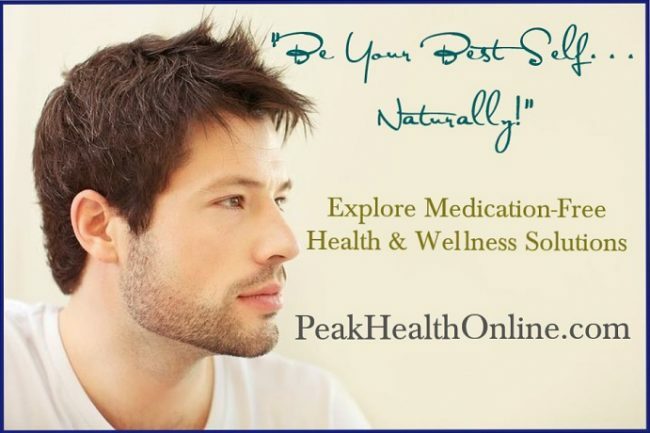 Peak Health Online was established by experienced health professionals to help people achieve optimum health and peak performance in study, work and sport without the use of artificial stimulants or unnecessary medications. We do this by providing the latest updates on health and wellbeing news and research, and by offering a carefully selected range of pharmaceutical-free products with proven (evidence-based) effectiveness. Visit our main website here to explore more; and see how you can be your best self… naturally! Click on the image to visit us. 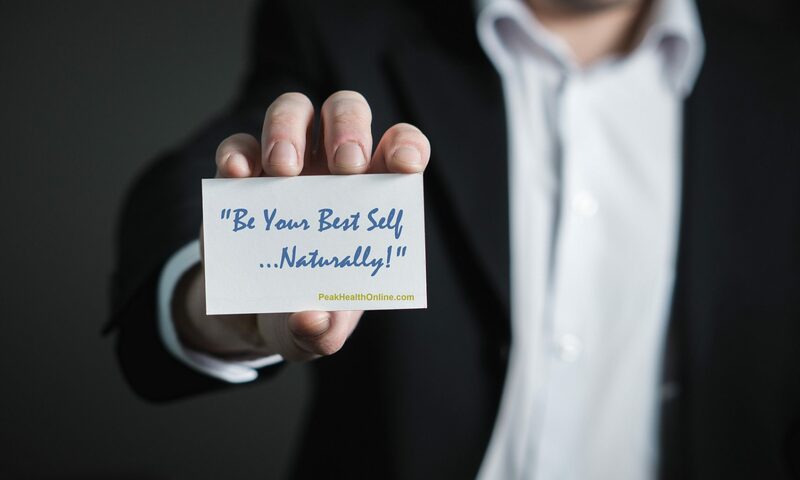 Be Your Best Self… Naturally!